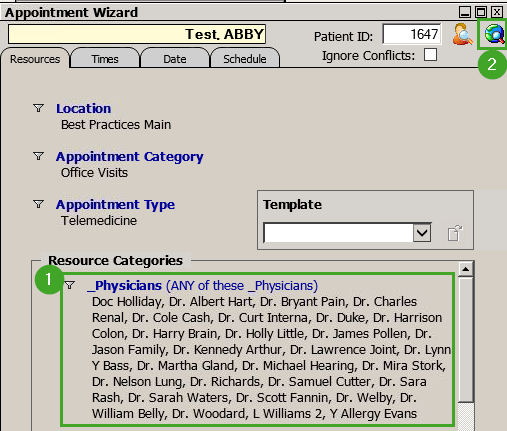 Now that you've created your telemedicine appointment type, it's time to schedule a telemedicine appointment in Prime Suite! 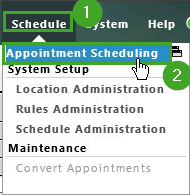 Hover over "Schedule" and click "Appointment Scheduling". At the bottom of the window, select "Schedule Wizard". 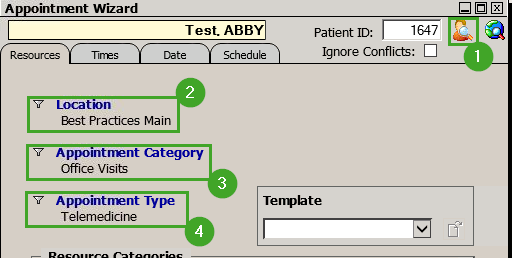 In the Wizard, select the patient, appointment category, and appointment type. 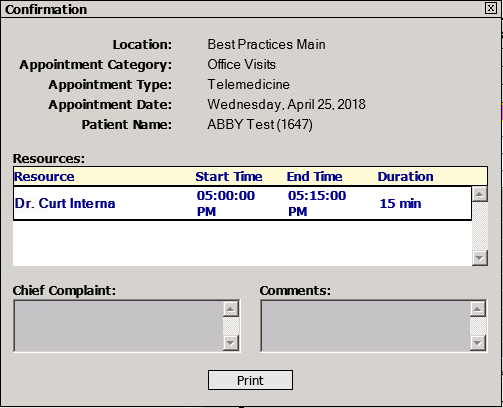 The appointment type should be the telemedicine one you created. Select the "Times" tab to search for a specific time. Select the "Date" tab to search for a specific date. Under "Resource Categories", select the provider(s) to search for. Click the search icon in the top right when completed. Once the results load, double-click the slot that you wish to schedule. You receive a visual confirmation that the appointment was added to the schedule.